Experience Los Angeles in style and sophistication on a private 7-hour tour, ideal for travelers seeking a personalized experience. 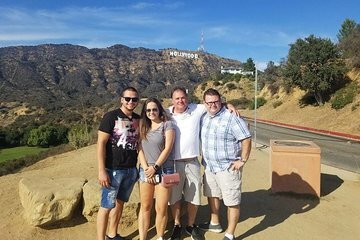 During this custom tour, you’ll tick off iconic LA sights such as Venice Beach, the Hollywood Sign, Santa Monica Beach and Pier, Sunset Strip, and many more. Amend your itinerary according to your preferences and stop for as long or as little as you like at iconic Los Angeles landmarks. Hotel pickup and drop-off are included.